Бизнес-отель Мантуя? Выберите Oтель Abacus! Comunication campaign promoted by Camera di Commercio, with the cooperation of the Commune and the Province, Confesercenti and Confcommercio of Mantua. 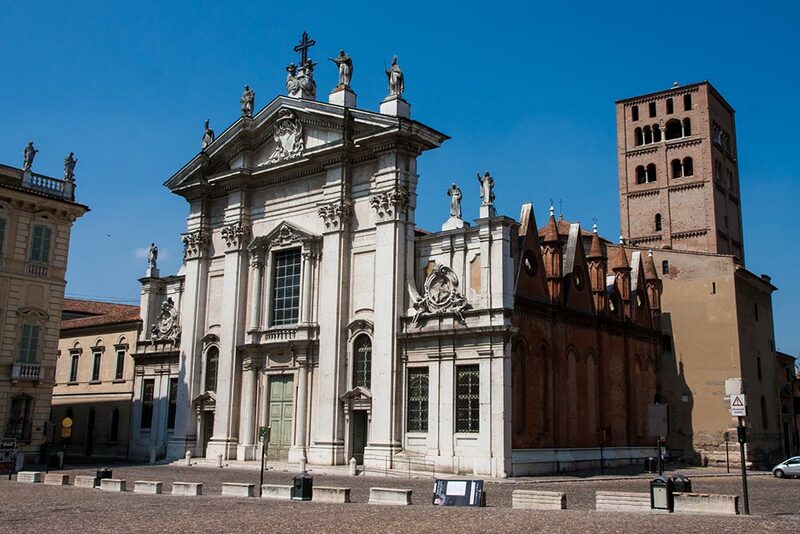 The story of Mantua begins in classical age. Following a legend the city was founded by the prophetess Manto: escaped from Tebe, where the father Tiresia was killed, Manto arrived onto the Mincio riverside and with her tears she created a lake. Matua is also the town of the latin poet Virgilio, the cown of big buildings and the homeland of art masterpieces and renaissance architecture. From 1300 to 1700 the illuminated seignory of Gonzaga family made of Mantua one of the more elegants courts. The Ducal Palace, the cathedral, Palace Te and St. George castle, the city centre is a chest of treasures with no limits: a simple list is not enough to explain its secrets and charm. Ancient seat of the commune governance, the building can be dated in 1200. It is also known as “Broletto” because its facade looks the homonymous square – in a niche of it you can see a statue of Virgilio the poet. The back part of the palace ends in Piazza Erbe. The building was transformed by Luca Fancelli, on request of Ludovico II Gonzaga, enriching it with elements of renaissance and humanism. 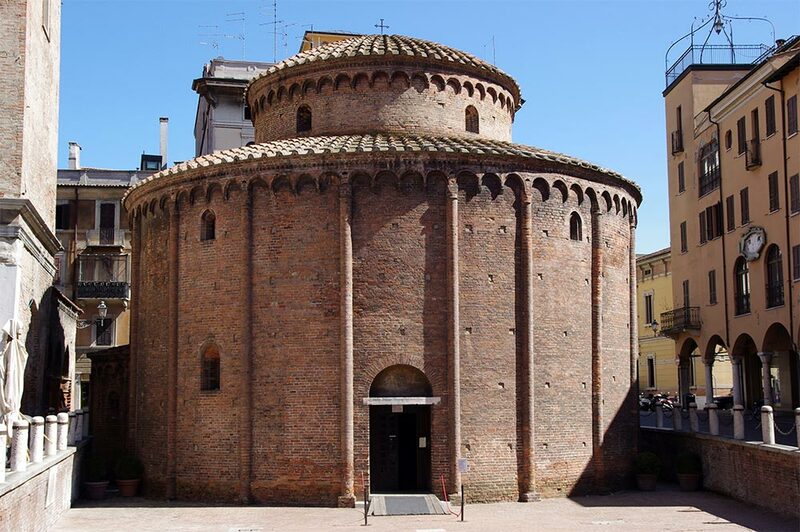 The oldest church of the town and the only remained building of family Canossa period- the church was commissioned by Matilde. 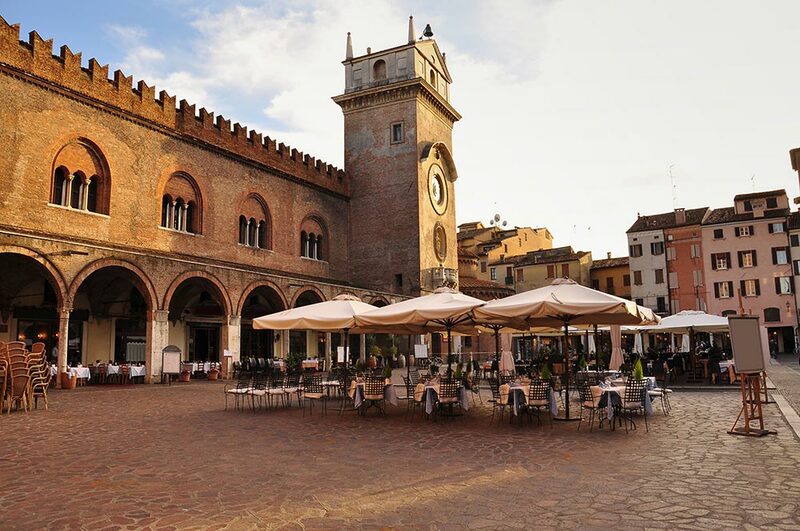 It is located in the east side of Piazza Erbe, and the building is circular. ITs internal spaces are empty to evoke a spiritual atmosphere. Beside the church there is the Clock Tower, recently refurbished. 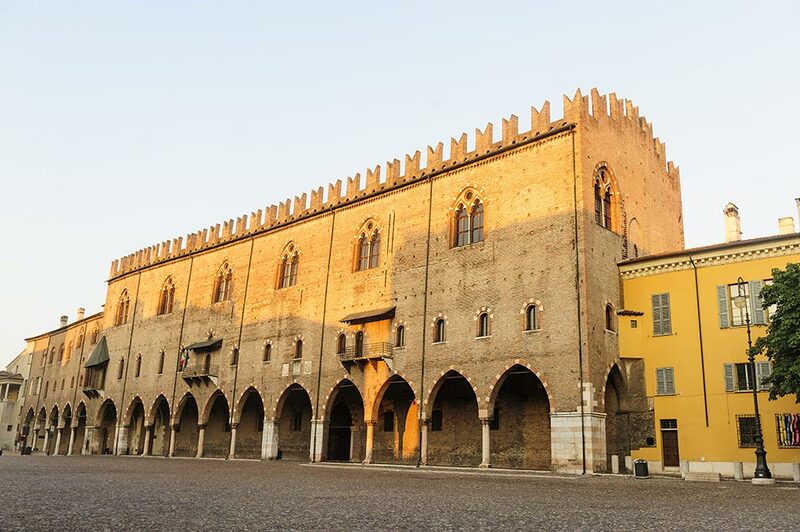 The Palace-city of Mantua, for extension of roofs, it is the second biggest court of Europe. the biggest one is Vatican. Gothic art, renaissance architecture and lombard manierism are joined and mixed in the rooms, hallways, galleries and internal courtyards of the ancient residence of Gonzaga family. Built starting in 1200, the Ducal Palace hosts the most visited oeuvre of the town, the Camera Picta, frescoed in the second half of the XV century by Andrea Mantegna. The room is in the north-east tower of Castle San Giorgio. The palace was founded on Island of Te, on a lake that now doesn’t exist no more. It was commissioned by Federico Gonzaga to Giulio Romano in the first years of 1500. 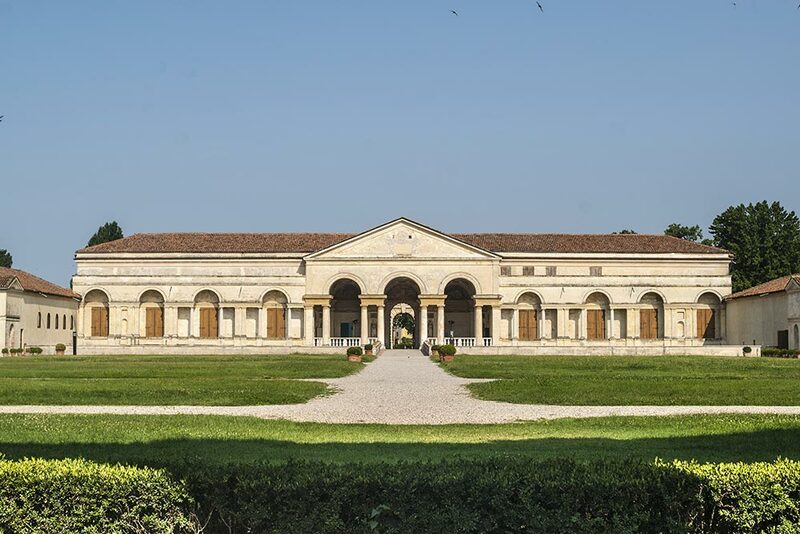 The artist transformed the old stables and joined them to a magnificent mansion, in which it is still possible to see bright frescoes, elaborated stuccos, and panelled ceilings. Among the most famous rooms of the palace you can visit Amore and Psyche, the old dining room of the Duke, frescoed with mythological scenes, and the Sala dei Giganti, with the illusionistic representation of the battle of Zeus against the Giants.